– A guide for Creative Services Managers. Nobody likes that feeling of having business line managers or sales teams wondering why their marketing pieces aren’t ready. Their requests sometimes get put aside because the in-house designers are busy working on higher profile projects. Meanwhile, their patience gets thinner and your team's reputation suffers. It's much worse if this is a regular occurrence. Preventing this is simple. All you need is a project identification system in place. This doesn't involve expensive options like hiring another in-house designer or outsourcing to an agency with lots of overhead. You simply identify the types of projects you'll keep in-house and those which you can easily outsource to a work-from-home freelancer. Then you run with it for at least 6 months to properly measure the results. This keeps your in-house designers fulfilled by working on the projects they enjoy, the freelancer working on the miscellaneous or recurring projects, and your entire project pipeline flowing smoothly. Most importantly, it keeps the business lines and sales teams satisfied with the marketing team’s productivity. STEP 1: Identify the criteria for both in-house and outsourced projects. STEP 2: Inform your teams and equip the freelancer with project files and brand guidelines. Bring your team up to speed with the plan. In a team meeting, show your project managers and designers how to determine if projects should stay in-house or be outsourced. 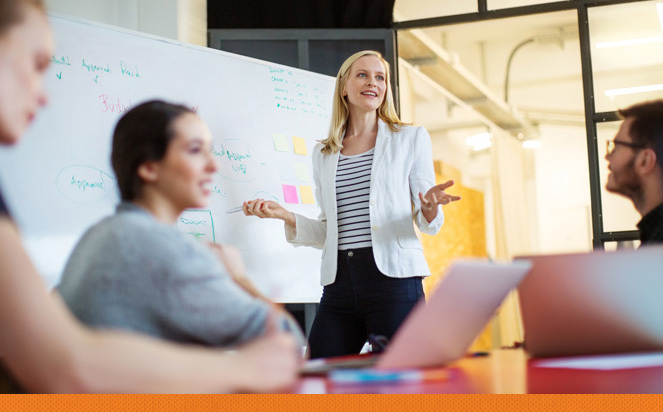 IMPORTANT: Use this 4-slide PowerPoint file to help present this to your team. In the file, you’ll see a 2-column chart on slide 2. The left will contain in-house projects and the right side will contain outsourced projects. Then, think of 8-10 past, present and future projects and list them in the columns accordingly. This will give everyone a chance to bring up any concerns. Have a bit of fun with! Once the team has determined which projects will remain in-house and which will be outsourced, equip the freelancer with your brand guidelines and working files so he's prepared for the work. STEP 3: Brief the freelancer when a new project fits the criteria. A simple email with a project description is all you need. Send the project files through email or through an FTP if they are large in size. Use phone or Skype if you prefer those options over email. STEP 4: Proofing and finalizing the projects. Review the PDF proof from the freelancer. Perform your edits where you are most comfortable – in Acrobat, email, or handwritten then scanned. Just be legible! The freelancer will send you the final file formats upon approval. Your team will discover that you can actually outsource more project types than you had initially thought. The goal is to have them spend more time on the projects they enjoy while preventing studio backlog and complaints. I hope you find this to be a useful system for your team’s workflow. Don’t forget to use the 4-slide PowerPoint file as a guide to communicate this to your designers and project managers at your next team meeting. Questions? I can be reached at seb@overflowgraphics.com or 416-999-7096. Toronto’s Second Harvest is an organization which rescues unused surplus food from businesses and delivers it to community agencies throughout the GTA. They have food collection trucks driving around picking up food that would have otherwise gone to waste, then preparing that food into delicious, nutritious meals to feed the city’s less fortunate. This is made possible by generous donations and a network of volunteers. How awesome is that! I have been lucky enough to volunteer as an event photographer at their annual Toronto Taste event throughout the years but this time I had the chance to design their 2014 annual report. The 12 page report showcased their yearly achievements, environmental impact and food rescue statistics just to name a few. The printed version had a die-cut pocket on the inside back cover which housed their donor and agency lists. Below are some photos of the report. Visit www.secondharvest.ca to donate or to find out more about their community events. 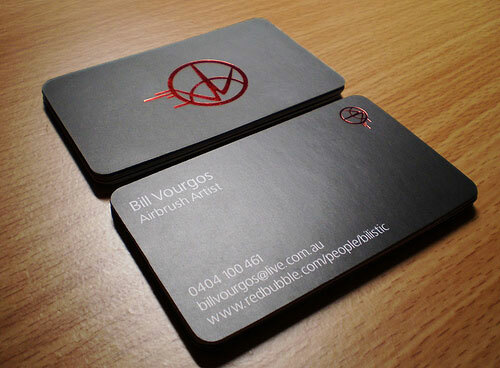 Soft-touch business cards with red painted edges. They feel like matte laminate cards only with a smoother, softer feel. That's the best way I could describe soft-touch business cards. They're conversation starters as well as keepers but they work best when they represent a bold, classy brand. As you slide your fingers across their surface, they give you a sense that you are holding something different. It's an uncommon texture especially for a business card. You can't help but wonder what it's made of and how it's made. For some, microfiber and silk may come to mind. They really are a different breed and worthy of consideration but are they right for your brand? 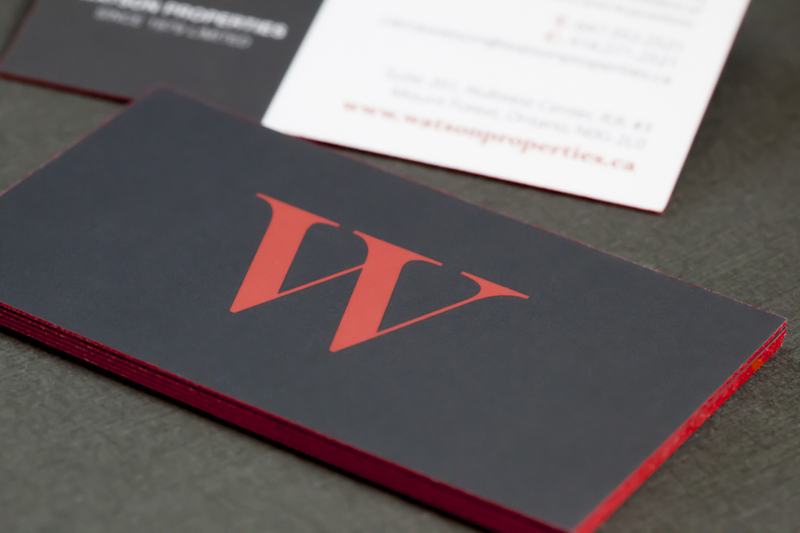 I've recently printed soft-touch cards for a client who is a high-end homebuilder and I was amazed at how different they felt compared to the trendy matte laminate cards. The smooth, silky texture perfectly complemented the high-end clientele of the company. 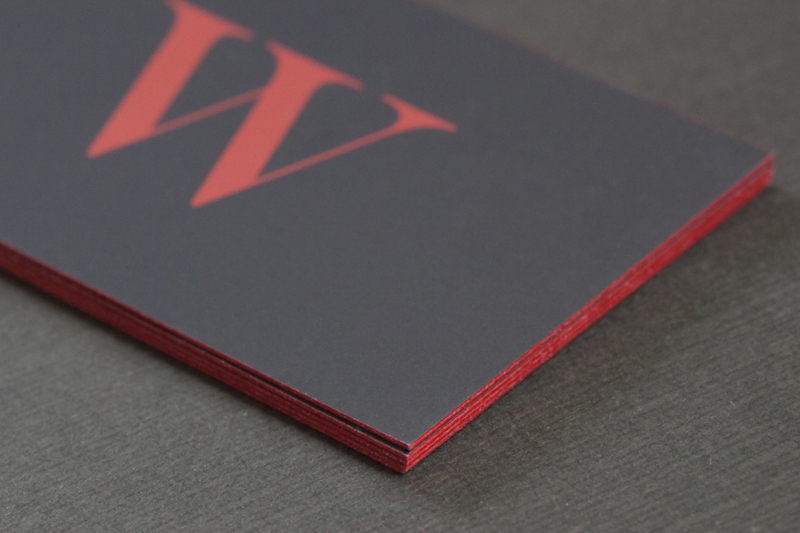 Close-up of red painted edges on a business card. Spot UV is also available on these cards. This means you can have a certain part of the card's design coated with a glossy texture, usually placed over an image, logo or shape. This is a nice contrast effect with the soft-touch texture. You can also have the edges of the cards painted a certain colour. You can really get creative here. If you think soft-touch cards would be the right business card texture for your brand, contact me to start the design process – seb at (@) overflowgraphics.com. I guess I forgot how well a good landing page could work. All you need is a really good offer coupled with social media, in my case at least. As a graphic designer, I am used to helping people with their own landing pages, not mine. 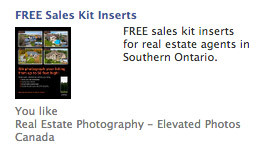 I have a second business where I do elevated real estate photography (www.elevatedphotos.ca). I shoot real estate photos from up to 50 feet high with an extendable tripod mast, also called “mast photography”. The offer - free sales kit inserts. I wanted to create a landing page where potential clients could submit their contact info in exchange for information valuable to them. I soon realized that to have a really good, attractive offer, you have to do some serious thinking and place yourself in the client’s shoes. Sure, you’ve heard this before. But think past the typical “free report” or “see if you qualify” offers. You can do better than that! My clients are real estate agents so I was trying to figure out what were their pain points or how I could make their jobs easier – with my services in mind, of course. I realized there was a way we could actually help each other. I would make it easier for them to sign new clients and they would in return, use my photography services. I did this by mailing them printed sales kit inserts. 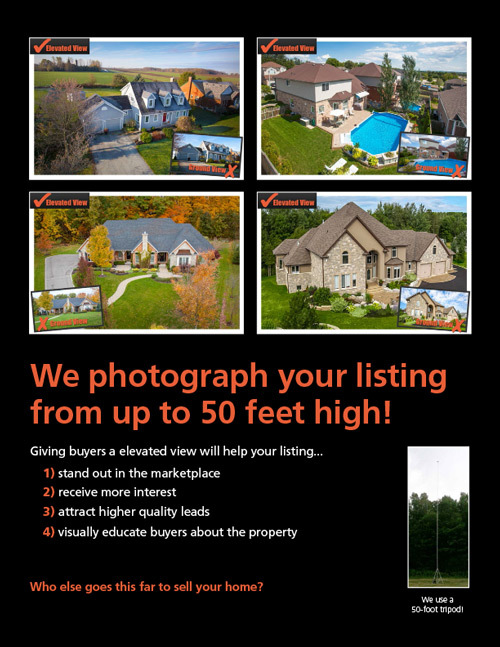 Now when they are showing new clients the many ways they help sell their home, they can include the advantage of being able to showcase their home from an elevated angle to show more property in a single photo. Not many real estate agents offer this and home owners get really excited when they can view their home from above. It helps close the deal. I printed 5,000 copies (about $250) and covered the postage as well. I would send 15 copies to agents and 100 copies to brokers to give to their agents. The response was more than I expected. The form then incorporated into my website. I placed an online form on my home page where it was easily recognized. I had some Google AdWords campaigns running and in the first week I received about 35 entries. Not bad considering that prior to the offer, I had no idea who my visitors were and no way of staying in touch with them. FYI – I created the online form myself using Yola (www.yola.com), which is the online website builder I chose for my site. They have a form builder built right into their platform. Yours should do the same. If not, it’s time to switch! So this was all working well with AdWords, but I wanted to see how it would do in the social media world. I created a new landing page on my website with only an image of the insert, some descriptive text and the form. At the time, I had about 300 Facebook followers, 90 on Twitter and about 950 on LinkedIn. I created a Facebook ad linking to the new landing page and let it run for one month with a $100 budget. For Twitter and LinkedIn, I simply posted about the offer (including the link) once a week for one month. That’s it! The results were great for a small business. I received 368 entries in one month! Plus I gained new life-long customers. The two months following were pretty busy to say the least as word-of-mouth tends to spread fast with realtors. 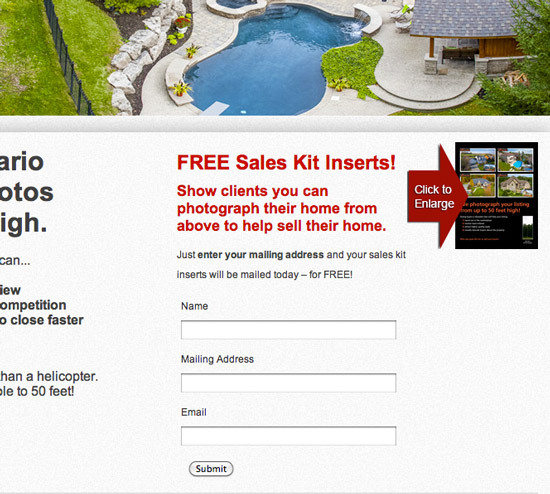 This landing page stuff actually works… with the right offer. So when you’re creating your offer, think of yourself in your client’s shoes. What can you do to make their job eaisier? What are their pain points and how can your product help them succeed in their own line of work? Think outside the typical offers you have seen and try something else. Then make it easy for them to implement and act. I think you’ll be surprised how well it works. Corporate blogging - good idea or bad idea? Firstly, it is important to understand why having a blog will be good for your business. Having a positive reason for creating a blog gives some direction. The purpose of a blog is to engage and interact with your customers in a more personal level, and in a way that no other form of marketing can achieve. When blogging becomes a bad idea is when you create a blog and do nothing but blast cheap sales copy to your customers. Creating a successful blog takes a strategy; it takes human resources, commitment, capital investment and time. Randomly starting out and ‘seeing how it goes’ is a bad idea. You have to invest some capital and use a graphic designer to design the look and appearance of your blog, with the corporation colours, logo and brand names. You have to assign someone within the organization the task of keeping the blog up to date with relevant content. Wrong content, boring content or pushy content will turn your customers off. Be real, be human, be open for feedback, invite comments, enjoy interaction, tell stories. Have some variety in your blog posts. Invite guest bloggers to write for you so that you get a different style of writing coming through. Don’t let the blog become stale. Keep at it! If a corporation is not doing its blog right, if the posts are too long, too repetitive, too infrequent, too plain, too sales pushy, too impersonal, it is better that the corporation did not blog at all. If a corporation can’t take some honest criticism, which, let’s face it, is a normal part of business, it is better that the corporation did not blog at all. Blogging in this instance can have a negative effect for a corporation and its image. The bottom line is that each corporation needs to study and analyse whether or not having a blog is going to have long-term benefits for both the clients and the business. To start a blog just because everyone else is doing so is the wrong motivation. Finding someone within the corporation who has a passion for writing, a cheerful online etiquette and their pulse on the industry is a great place to start. If we want to market our business as being a professional, creative and modern enterprise, having a business card that reflects these qualities is paramount. It is difficult to calculate how much new business we receive through handing out business cards, however passing out a very cool looking business card does get people’s attention, which could be sometimes be an effective marketing strategy. They allow us to share our brand's unique feel and style to the world. There are a variety of methods available that enable us to stamp our mark on our business card (sample photos below). Looking at some of these styles, using a touch of spot varnish gives a very well flourished impact. 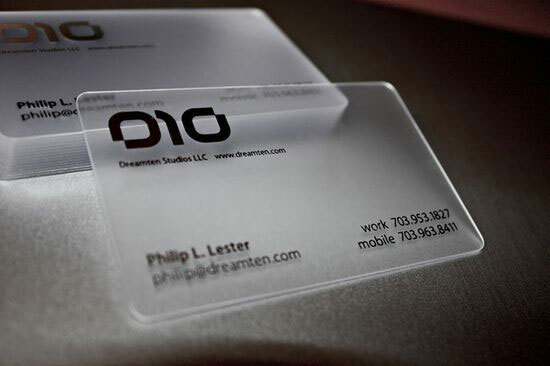 Also known as spot UV, this involves applying a glossy varnish to selected areas of the card which creates a ghosting effect. Spot varnish can also be used as a highlighting tool to make a logo or brand name pop, which does make a very nice statement indeed. 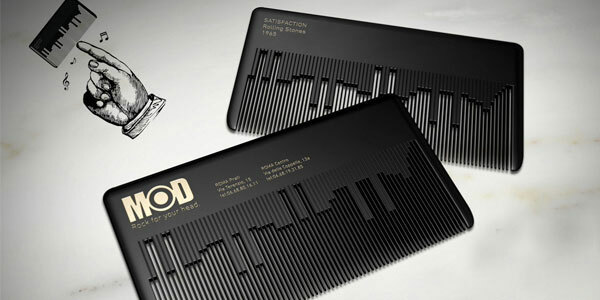 More – a cool looking business card that can make a statement and be quite unique are those made using a custom die cut. This enables the plastic card to be cut and shaped in a way that reflects the specific nature of the business. 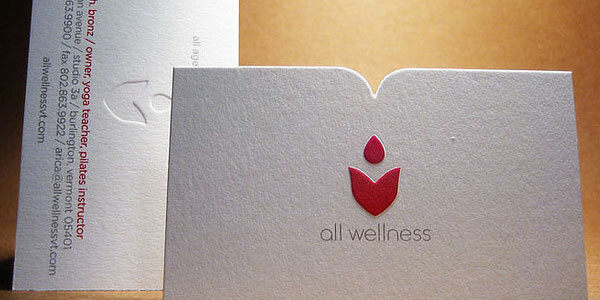 For example, a business card for a women’s gym might have curved lines or may be very thin in shape. This provides stronger brand awareness and relates the product’s shape with the business – great for brand awareness. Similarly, using laser cutting technology, it is possible to laser cut business cards to the most intricate and accurate shapes. This enhances the quality of the business card whilst also enticing people to keep the business card due to its novel style. Quite commonly, a business will use a laser cut so they can attach a device to the card, such as a key, if they are selling a vehicle or some earphones if they are selling sophisticated sound systems. A simpler method to use laser cut for creating unique business cards is to cut out the letters of the business name from the card. 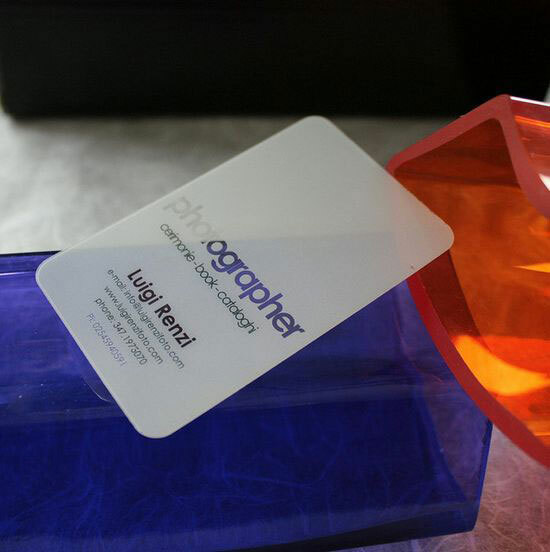 Another very popular method used to create memorable business cards is by using raised ink. For business cards that need to look classy and elegant, this is a great choice because it is very simple and relatively inexpensive to create. The texture generated from the raised ink provides a unique feel to the card. 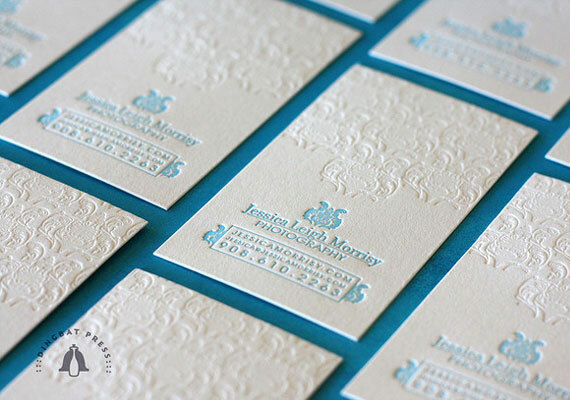 Embossed cards are also excellent for texture. Or even just for functionality, embossed cards look just like credit cards where there are either numbers or letters that are slightly raised. These might be for codes, using numbers or letters, swipe cards, access cards, membership cards, and can be printed with sequential numbers if required, from an Excel or csv file. It’s also possible to add a bar code, a magnetic strip and ID photos. Last but not least, it is worthwhile experimenting with foil stamp business cards. These add class to what could be a fairly ordinary business card. 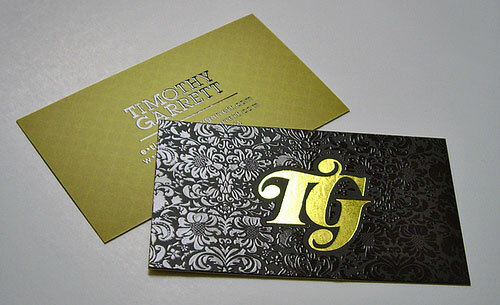 A foil accent can appear on any part of the card, and can be either reflective or metallic. Many businesses choose to have their logo stand out more using a foil stamp, which can be extremely effective. Do you think your business would receive more attention (and more business) if you handed your prospects a really cool looking business card? Would one of the card treatments mentioned above suit your business? Get creative and give it a thought. Then call me at 416-999-7096 to start the process. Want a simple, powerful SEO tip? Wait for it… wait for it… it’s “Title Tags”! Use them to describe what your business DOES, not to just list your business name alone. A title tag is a short phrase you insert in your website’s HTML header which tells search engines how to display your site in the search listings – as you know, this is very important. Here is an example of how this would look in HTML for a financial advisor in Toronto. Note that for small businesses, you should not list your company name by itself. Your company would benefit from telling the user what your company actually does in the title tag. Of course, the META tag below it is also important as a further descriptor, but that’s a different topic. When users are searching for your product or service, they are more likely to click your listing based on how you describe your company in your title tag rather than by your company name alone. If you are a small business, chances are they don’t yet know you by name but are instead seeking only what you offer them. Describe your offer or service followed by a dash, then your company name. Or vice versa – your company name followed by a dash, then describe your offer or service. Make sure you really research what your target market is searching for. You need to match your offer’s wording to that of their search terms and also to match what your company actually delivers. It’s a fine balance but worth the effort. Larger organizations can also benefit from having a description in their title tags but the impact is greater for those lesser known companies. Do a search for your company on Google to see how your title tags are listed. Ask yourself if it clearly explains what you do and if it is written in a way which matches what your target market is inputting in the search engines. Do handwritten envelopes actually increase direct mail open rate? To increase open rate for direct mail, you need to put yourself in the shoes of the office gatekeepers. Think about it. What do YOU do when you receive an envelope in your mailbox which has a company logo or promotional offer on the front? If the offer does not entice you, chances are you do what everyone else does – you throw it away and classify it as junk mail. If you’re an office receptionist, you probably won’t even read the offer and just throw it away once you noticed an offer. After all, part of the job of a receptionist is to screen the mail and allow in only the important messages. But hey, your piece is important, right? You wouldn’t spend the time compiling and perfecting your list if it wasn’t. Handwritten envelope with it's contents. To get by the mail filters of homes or businesses, the best way is to hand write each envelope. No logo, no return address; just their name, mailing address and a stamp. Period. Your offer is inside the envelope, of course. This will almost guarantee an open rate of 100%. Would you throw away a mysterious handwritten envelope before opening it? Most likely not. Don’t stop this technique at just the envelope. If you are sending a sales letter, it is a good idea to leave out your company’s branding. This will keep the reader’s guard down and allow them to focus clearly on your content – so make your content great! This is your chance. You’ve gained their attention by having them open the envelope, now you have to gain their trust and offer them an offer which is hard to refuse. This is where great copywriting will help you capture the new sales lead. But that’s another topic. Need help writing the envelopes? Speed up studio workflow without hiring! Smile – you've come to the right place.